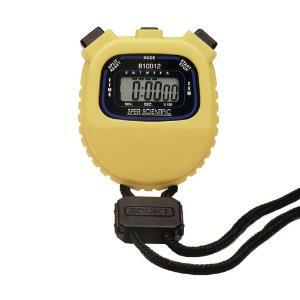 Counts up to 24 hours in 1/100th second resolution for the first 30 minutes with a 1 second resolution thereafter. Split interval function. Also has a 12/24 hour alarm clock, calendar, LCD display, and an hourly chime option. Certifications: N.I.S.T. traceable certificate of compliance for 97035-842. Ordering information: 5 yr. warranty.